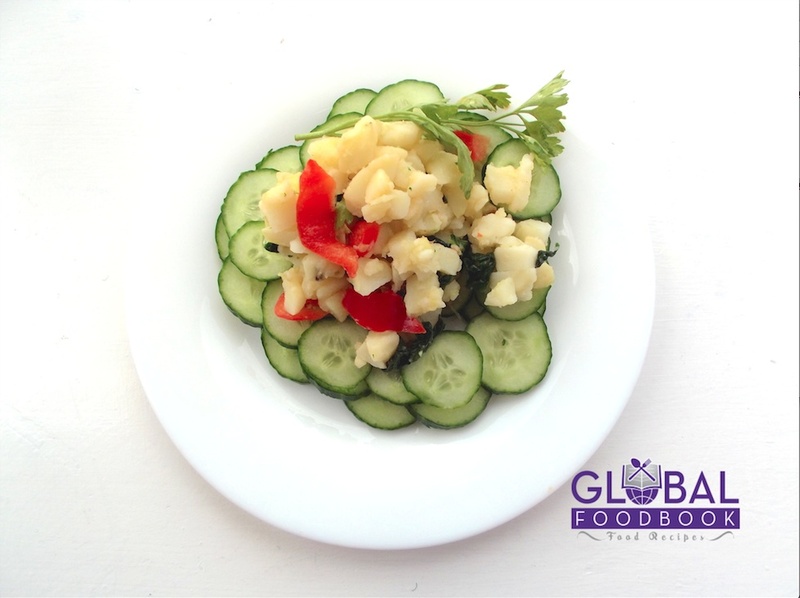 Indian potato salad recipe is amongst the common staple food highly acceptable by Indians. It is highly nutritional and beneficial to human health. Potato when garnished with cucumber and parsley is a very palatable and yummy. 1 tsp. freshly chopped mint leaf. 1 bulb onion, finely chopped. 1 fresh sliced sweet pepper. Add potatoes in salted water and allow to boil until tender (Drain & set aside). Allow potatoes to cool down then cut into tiny bits. Add potatoes, curry powder, coriander, pepper and onions and mix very well. Arrange cucumber in a dishing bowl and scoop the mixed potatoes over it. Top with parsley leaf and enjoy your palatable meal.